Chanteur Rock 'n' Roll anglais né Terence Williams, le 20 Décembre 1938 à Londres. 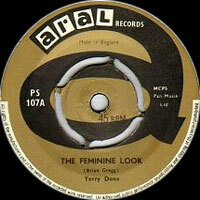 Terry Dene (born Terence Williams) was one of the most promising rock & rollers of pre-Beatles England. With a recording contract with Decca UK and a regular spot on BBC-TV's first pop television show, Six 5 Special, Dene seemed to be on the verge of stardom. 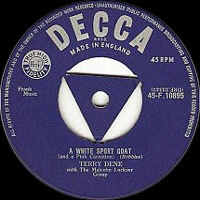 His first three singles reached the British Top 20. Dene's potential for success was severely damaged, however, by a series of self-imposed mishaps. Arrested for public drunkenness and vandalism in 1958, Dene was cited by the British media as an example of the "evil" of rock & roll. His mental health was considered to have plummeted after being drafted into the British national service. Discharged on psychological grounds after two months, he found his career in ruins. Although he appeared in a film, The Golden Disc, and joined Larry Parnes' stable of stars, he was unable to recapture the momentum and faded from the pop scene. Turning to religion, Dene became a street-singing evangelist, recording three albums of gospel music. He spent the early '70s residing in Sweden. Dene has unsuccessfully attempted several comebacks. 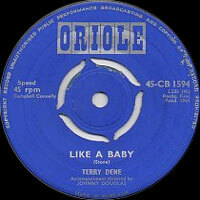 In 1974, he released a book and album, I Thought Terry Dene Was Dead, and began to perform with a rock band, the Dene Aces, featuring Brian Gregg, composer of the classic rock tune "Shakin' All Over," in the 1980s. 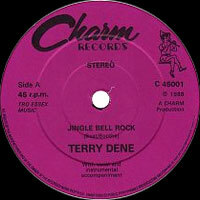 He released an album, The Real Terry Dene, in 1997. 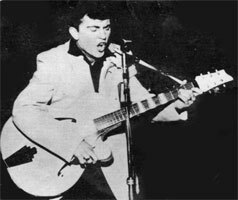 A native of London, Dene was heavily influenced by the early recordings of Elvis Presley and Gene Vincent. Performing at the 2i's Coffee Bar, the London club that helped to launch the careers of Tommy Steele, Cliff Richard, and Adam Faith, he caught the attention of British record producer Jack Good, who helped him to obtain a contract with Decca UK. Although he wrote very few songs, Dene was a master interpreter, scoring with covers of Marty Robbins' "A White Sport Coat (And a Pink Carnation)" and "The Stairway of Love" and Sal Mineo's "Start Movin'." Dene was briefly married to British songstress Edna Savage. 05/1958 SP DECCA F11016 (UK) . Stairway Of Love / Lover Lover! 1988 SP CHARM C 45001 (UK) .